An extensive guide to help determine many factors to consider for scanning using an Epson printer. The scan a document today has become a necessity, we can scan from the computer to scan or from a multifunction printer with scanner included, such as the Epson Stylus TX135 printer. With this printer and any other Epson printer, the process is extremely simple and quick, even though we have buttons that allow us to scan by simply pressing on most printers, we also have a program which can perform both scanner image and documents with high quality. With an Epson Stylus TX135 printer we can choose whether we scan from the front panel buttons or use the scanner program to scan any document, we will present how to scan a document using the control panel. When you press both the copy button in black as the color copy while the printer began to scan, by default this will be stored documents in PDF, you can change this in the settings of the scanner. 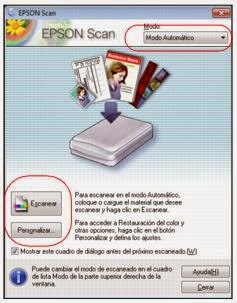 Another way to run a scan with this model printer is using the Epson software to scan Epson Scan, if we installed the complete drivers for this printer on the desktop computer an icon called EPSON Scan appears, opened this and started the process scan. If you start scanning documents using EPSON Scan program, it is necessary to make some settings before scanning, the scanner can also configure this setting to stay or just for a scanner. This setting is valid for the type of scan by pressing the buttons on the printer and using the program. 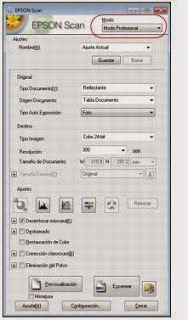 Automatic mode: This mode will not have to tell the scanner that will scan the document type or size has this, automatically scans the entire surface of the document and after obtaining the tool can apply color restoration and dust removal. The easy way is a more simple process that works great for scanning photos and images. This process then we can apply the tools of color restoration, dust removal and chiaroscuro correction. Office mode is the setting that allows us to fully customize everything can be scanned image allows us to select the size of the image you have scanned and a preview of the scanned document as stay. 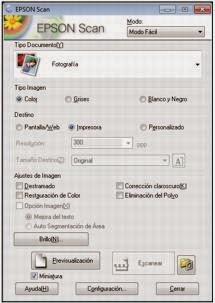 To select automatic mode, open the program scanner Epson Scan, usually located on the desktop of our computer, we look at the upper right, with the automatic mode as we have previously said will scan scanner full size image and keep normally my picture or picture folder, we can change this setting. To set an option in this way at the bottom left click customize, select the option of your choice that is available with the scan mode you have selected and click Scan. To select the easy way, we look at the top left and select this mode, as we said before, we will use this mode for simple scanning of images and simple documents. In the professional way, we will advanced documents, photos, graphics and text documents. We have more settings for scanning an image we can define the quality that this will have to finish scanning. A document sent by email, or just use it to see on a computer screen is recommended to use a resolution of 96-150 dpi. An image or a document need to send via Fax is recommended to perform a scan at a resolution of 200 dpi. In case we need in future print an image and this is an inkjet printer is recommended scanning resolution of 300 dpi. 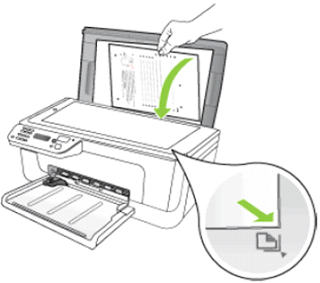 How to scan a document and then edit a resolution of 300-400 dpi is recommended. Everything depends on what our need, you make a comparison with the recommendations that we have provided, in case you have any particular questions contact us.